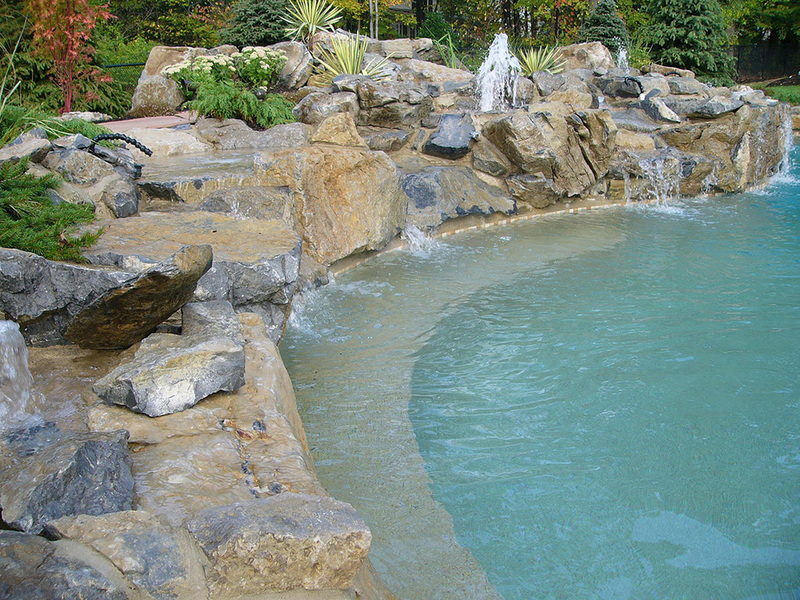 The homeowners with this backyard were too busy to get to thier shore house in LBI so we designed a pool with a beach team to bring the shore to thier home in Montville. 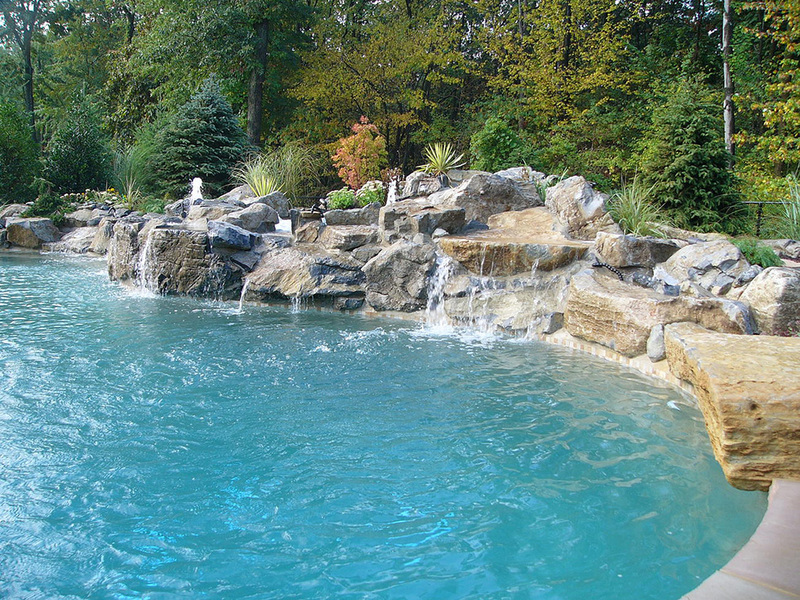 There are 12 waterfalls streched out along the backdrop of the pool. 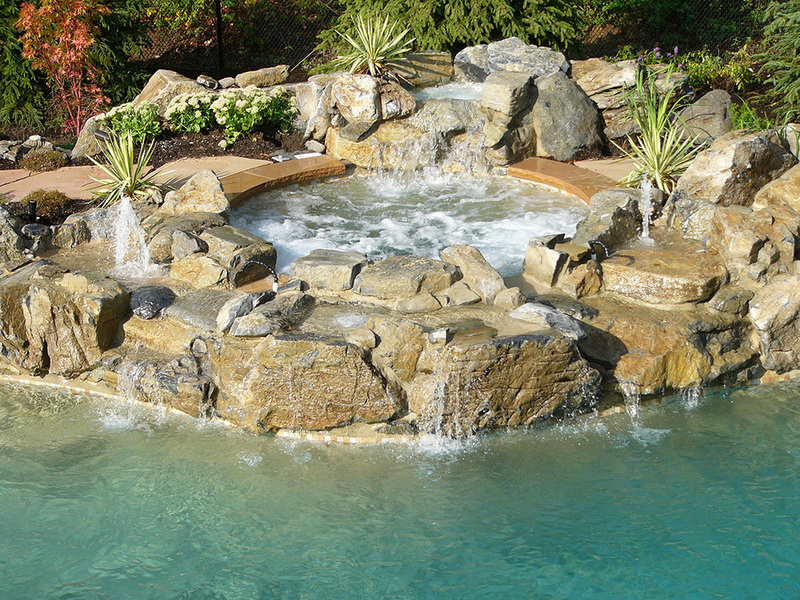 A hot tub is nestled on the top of the waterfalls with a waterfall of it’s own circulating the hot water of the hot tub. 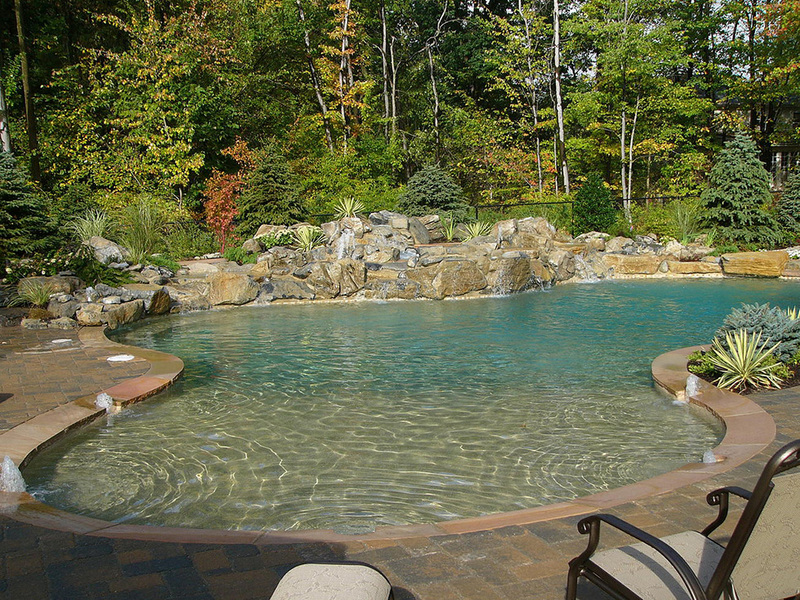 A large sundeck area was created for beach chairs with a gradual transition to the shallow end and then to the deep end. 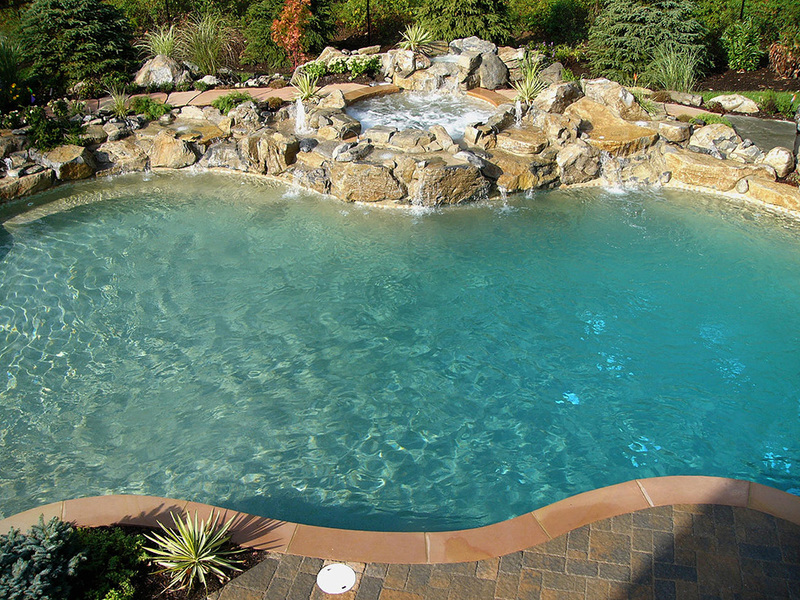 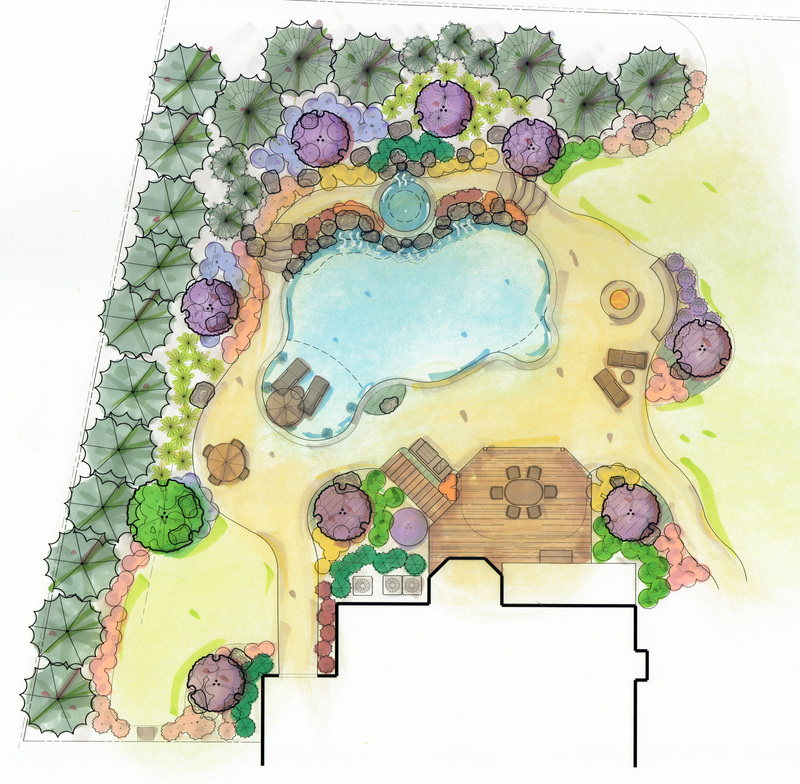 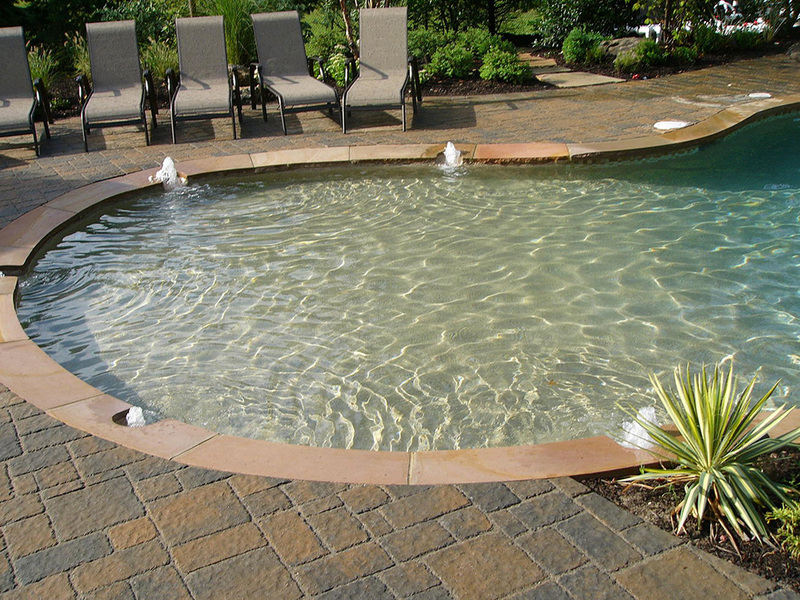 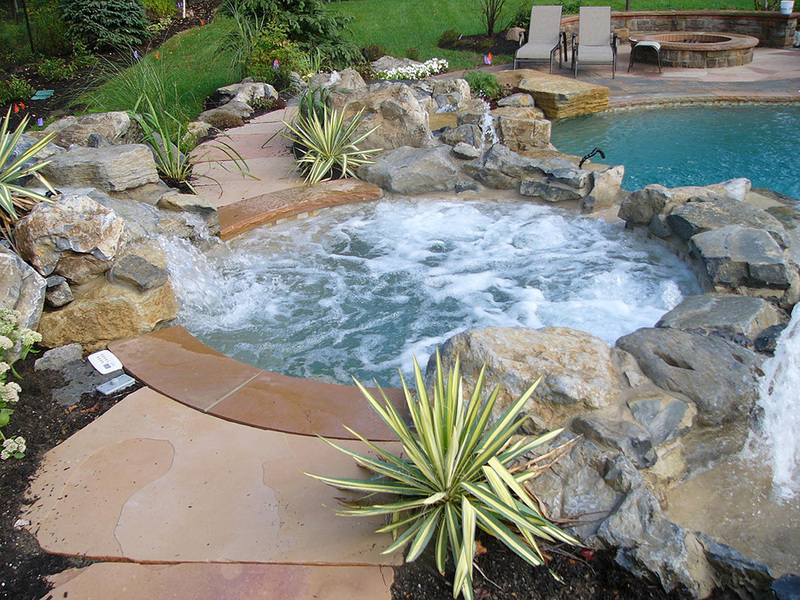 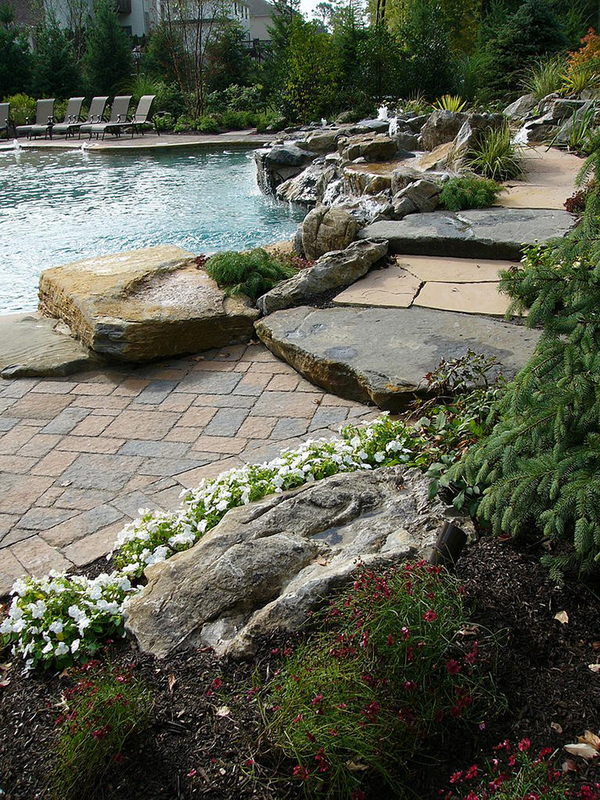 The tan finish of the pool is of peables from around the world to give the sandy feel of the shore. 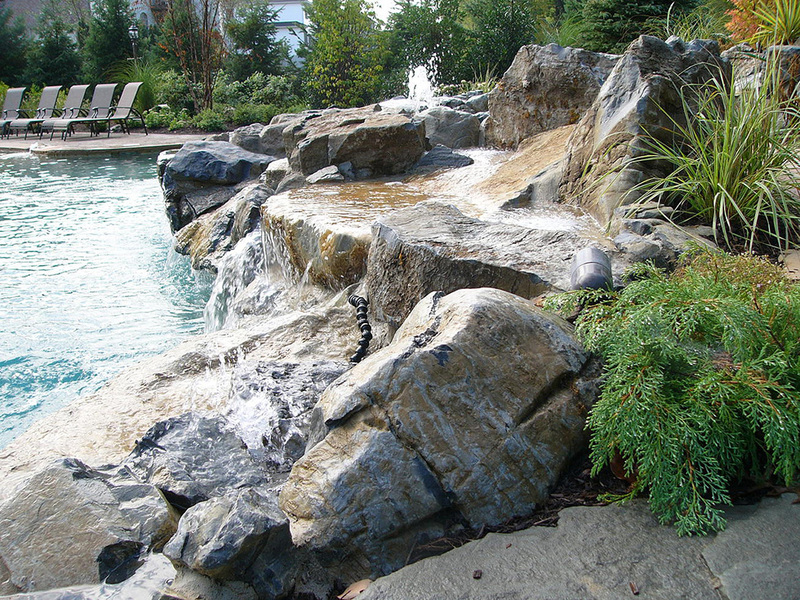 A large bench is wrapping underneath the waterfalls in the shallow end. 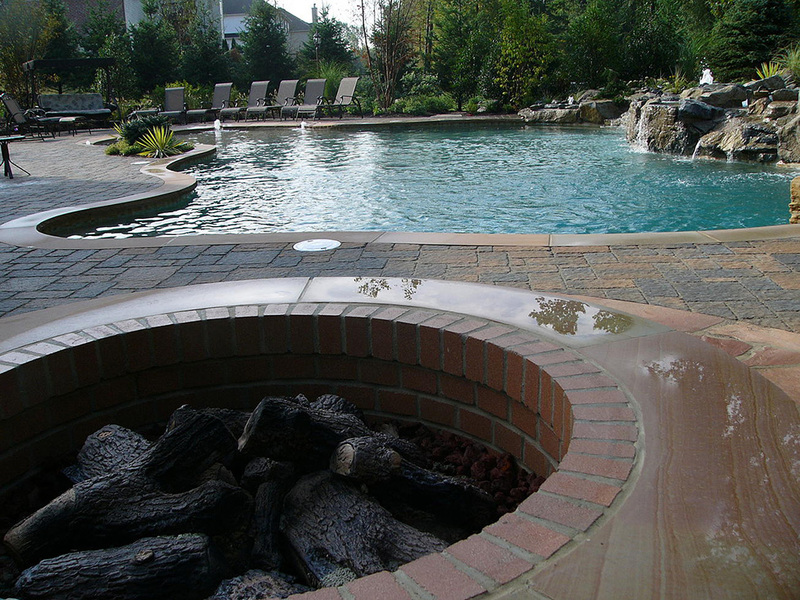 Fiber optics light the waterfalls and the pool at night and a fire pit overlooks the whole pool for enjoyment in those chilly nights.